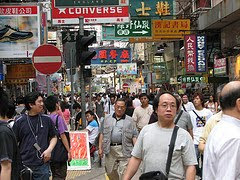 I'm moving to Hong Kong! No, this is not a lesson to teach you how to say that in Mandarin. This is an announcement: I'm moving to Hong Kong. This probably won't come as a surprise to most of you that I'm interested enough in Asia to want to go spend some time there. For the last five years, I've been travelling to Asia up to half a dozen times a year, and it was through these business trips that I (by mistake :-) ended up learning Mandarin. And my interest in the language, the people, the culture, has continued to grow. I work for a large international company, and I put it out there that I'm available for an Asian opportunity. I had done this before, over 10 years ago, when I was working for their South African operation, and got transferred to the UK. And now it's time to do it again. My bags will already by unpacked by mid-September. There's a lot I'm going to miss about London - it's an amazing city. And I'll obviously miss my family and friends too (you know who you are - because I know you're reading this). But there is also so much that I'm looking forward to. Of course I'll try pick up some Cantonese too, but HK gives plenty of opportunity to improve my Mandarin. One of the big changes is having to re-learn my reading skills, because I've been focusing on Simplified Chinese, yet HK uses Traditional Characters. But that's another story for another blog post. For the readers of Mandarin Segments who are based in HK, please leave me a comment, or send me an email to say hi. And for those passing through the city, let me know when you're coming. I have just spent a couple of weeks in Japan - my last trip having been three years ago. At that time, I probably knew only about 12 Kanji (Japanese characters, which were originally borrowed from Chinese about 2000 years ago), whereas this time I know about 100 times as many characters. I was curious to see how my Chinese reading skills would work in Japan. After all, I'm not a fluent Chinese reader, so I couldn't exactly expect to manage Japanese without a hitch. 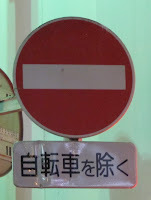 In spite of the above points, I was still able to follow much of the Kanji which I read in signs, menus, posters, etc. Even when signs were a mixture of Kanji and Hiragana (the one phonetic alphabet of Japanese), I sometimes found that the core meaning came from the Kanji. 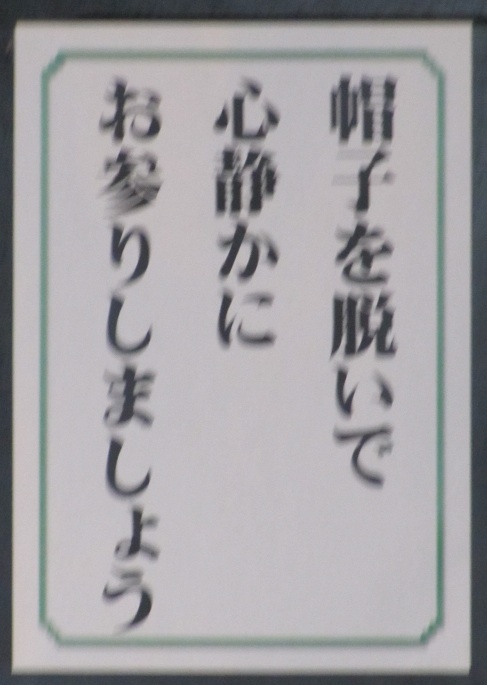 (For example, if you look at the picture below (sorry for the bad lighting, I took it in a shrine) in the right-column you can recognise the characters 帽子 (hat) and 脱 (take-off) -I'm sure you can work out what you have to do! 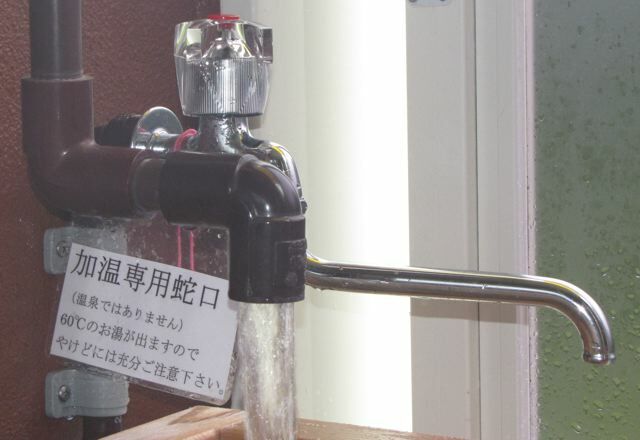 Sometimes the Japanese have different words for common objects to what the Chinese use, even though you can still read the Japanese version and work out what they mean. 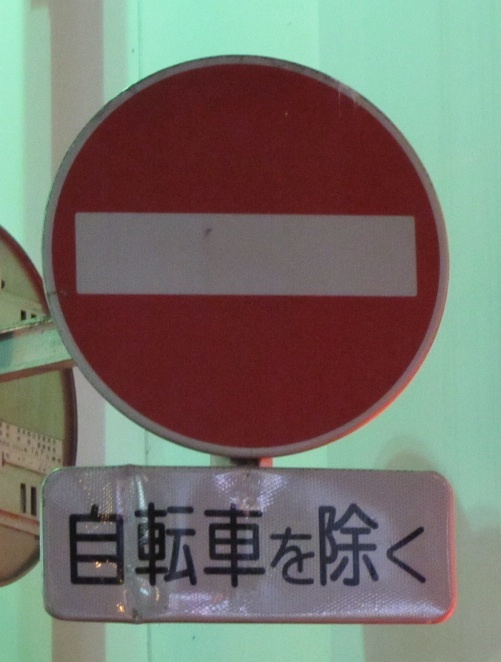 For example (Chinese/Japanese): 'car' (汽車 = gas vehicle / 自動車 = automatic vehicle), 'emergency exit' (紧急出口 = urgency exit / 非常口 = extreme doorway), 'no smoking' (吸煙禁止 / 禁煙), 'train' (火車 = fire vehicle / 電車 = electric vehicle), 'push' (on doors) (推 / 押), 'fire extinguisher' (灭火器 vs 消火器) etc. Conclusion? Learning to read Chinese has use even outside the Chinese-speaking countries. It was fun to see that for myself. If you know of other differences or similarities between between Chinese and Japanese, please drop a note for us below. And if you don't, then pretend you do and just make something up! This is the first part of a new series about sentences in Mandarin Chinese. For a few months now, I have been on a new journey in my Mandarin learning. The previous one was working through Heisig & Richardson's first book (simplified or traditional, affiliated links) on learning how to read and write Chinese. I made it through 1500 characters in about 3-4 months, and I had great support from all of you as I did so. But now being able to read & write characters, and having learned a whole bunch of compound words (through flashcards), I have extended this into understanding how Mandarin sentences are constructed. In my opinion, this is the least intuitive part of learning Chinese, and it's what keeps me from having coversations which flow as smoothly as I'd like. Don't believe people who tell you that Mandarin is the same as English: subject-verb-object. I mean, it is. Kinda. The problem is that when you first get past "I drink beer" (我喝啤酒, wǒ​ hē​ pí​jiǔ) (subject-verb-object, in both cases), things get a bit fuzzy and non-intuitive. But once you've got a feel for Chinese sentences, it starts to come back into focus, and you realise that to a large degree (again!) it is S-V-O. S1. What should I give him as a gift? wǒ gāi sòng shénme lǐwù gěi tā? (I) (should) (give) (what gift) (give him)? S2. She enjoys sharing her experience of learning the Chinese language. 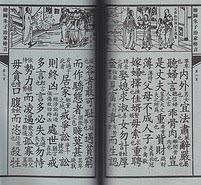 Tā hěn xǐhuan gēn biérén fēnxiǎng tā xuéxí Zhōngwén de jīngyàn. (she) (very likes) (with others) (share) (her) (study Chinese)'s (experience). S3. People who want a tattoo must go to a proper tatto parlour. yào​ wén​shēn​ de rén​, bì​xū​ qù​ zhuān​yè​ de wén​shēn​ diàn​. Certainly not intuitive, but definitely learnable. The purpose of this series is to get you as quickly from the "newbie S-V-O" to the "more advanced S-V-O" phase, without getting too stuck in the middle. And this is as much to document my learning for myself, as it is to share my learning for your benefit. To make sure you don't miss out, ensure you subscribe to Mandarin Segments. I look forward to your active participation. To see all posts in the "Life Sentences" series, click here.